Everyone’s tinnitus symptoms are different. Some people hear the noises constantly, while others hear the sounds from time to time. 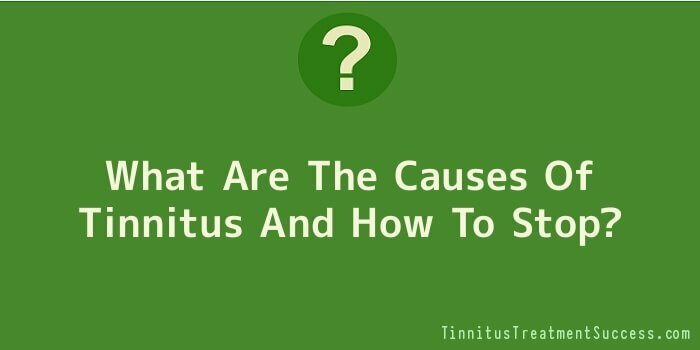 Tinnitus often develops slowly over time. It might be barely audible at first. It’s rather like changes in eyesight that eventually require reading or distance glasses. You might have become unconsciously acclimatized over time to your tinnitus that you are hardly aware of it … until the noise grows so loud and persistent you are “suddenly” bothered by it. This revelation often occurs during a moment of silence, say when you’ve left a concert or other social event – or even when you’ve turned off the TV. Though tinnitus can be the result of infection or disease, it’s most often triggered by exposure to loud sound, such as an automobile collision, being close to a slamming door or prolonged use of a power tool. It’s often found in people who work for long periods around noisy machinery – which is why protection in manufacturing plants ear and on construction sites is important. Tinnitus can also be the result of repeated exposure to loud music, which is why so many musicians seem prone to it. It can even affect young people who have the volume cranked up on their iPod headphones. Loud sounds can damage the delicate mechanism in your ear, leading to phantom signals being sent to the brain in the complete absence of any actual sound. In other words, your brain is “hearing” something that doesn’t exist. Though tinnitus can make life truly miserable, it is not life-threatening. That said tinnitus can be difficult to treat, unless it has an obvious cause like a benign tumour, blood vessel narrowing, ear infection or a blockage caused by a build-up of ear wax. If it’s caused by permanent damage to your inner ear, doctors might offer you nothing more than prescription drugs to treat the symptoms. Even if the noises you hear are constant, there will be times when they are a bigger nuisance. Recall what you were doing immediately preceding such episodes to see if there might be a contributing factor. For example, tinnitus sufferers often say their symptoms are worse if they have been in a noisy environment. If noisy places make your tinnitus worse – such as sporting events and concerts – try wearing ear plugs. Tinnitus can also be aggravated if you are stressed, or have had a poor night’s sleep. If you find that stress and fatigue amplify your noises, get more rest and allow for more quiet time in your life. Caffeine and alcohol are often cited as making tinnitus worse and some sufferers have found abstaining from drinks containing caffeine and alcohol will dramatically reduce their tinnitus. If your tinnitus is worse after consuming salty meals, or high-sugar food or drink, adjust your diet to see if changes can bring you some relief. Aspirin (and generic brands containing its key ingredient, acetylsalicylic acid) can contribute to the development of tinnitus – or make it worse. Aspirin is often recommended by physicians for people with heart disease, to prevent clotting. Do NOT stop taking Aspirin if it has been recommend to you by a physician, but do talk to your doctor about alternatives. Because there are many different kinds and causes of of tinnitus, there are a wide variety of treatment options. It’s important to consult a physician or ear specialist to get to the root cause of your tinnitus before attempting treatment. Sometimes, it is required to remove a head or neck tumour that causes tinnitus. Surgery is sometimes also used to treat serious blood vessel narrowing, particularly in the carotid arteries in the neck. Such narrowing raises the risk of a stroke and also creates turbulence that can cause tinnitus. This is why it’s important to have a medical examination when an unexplained noise appears in one or both ears. Doctors sometimes prescribe a wide variety of drugs to treat the symptoms of tinnitus. These drugs include anti-anxiety drugs, anti-convulsants and even anti-depressants. While these work for some patients, they do not cure tinnitus. The side-effects can be distressing, including drowsiness, fatigue and nausea. 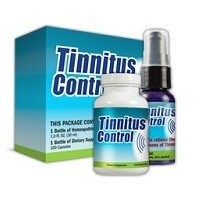 Herbal/vitamin products: There are many natural products that tinnitus sufferers say provide them relief. Sound masking: Relief from tinnitus noise can sometimes be found though the use of so-called “white noise” sounds devices. A variety of sounds can be used to mask the tinnitus noise. Some tinnitus sufferers use these masking devices at low volume to ensure they get a good night’s sleep.